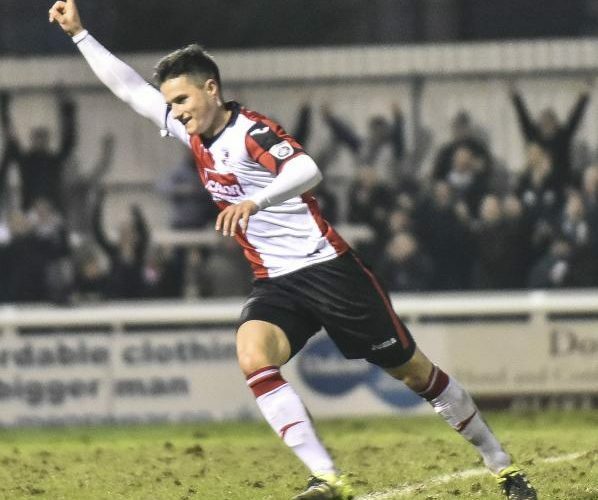 Fabio Saraiva saw his 74th minute shot nestle itself into the corner of the Solihull Moors goal to ultimately give his Woking side a 2-1 win at the Laithwaite Community Stadium on Tuesday evening. The versatile Portuguese playmaker, 23, scored his 11th league goal of the season ending a 2 game losing streak for the Cards. Woking took the lead in just the third minute as on loan Charlton defender Terrell Thomas capitalised on poor defending for the Moors to head home his first league goal of the season. 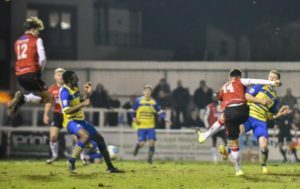 The Cards continued to dominate in the opening stages with Solihull Moors defender Kristian Green preventing a second goal by heading an attempt off the line. 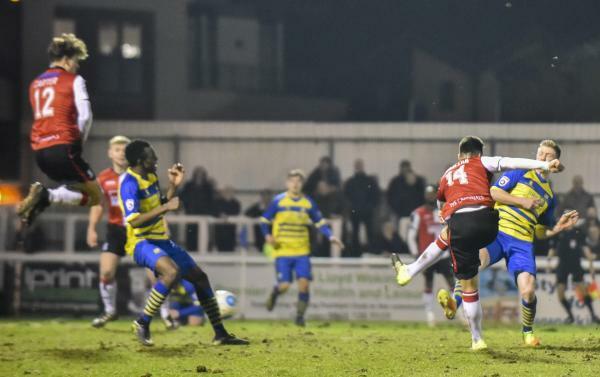 As the first half continued, Solihull began to find a foothold in the game with the Moors technically gifted attackers starting to find more and more space in and around the Woking defence. Solihull’s new found foothold in the game was epitomised after Shepherd Murombedzi saw his free header saved by Michael Poke after good work from Omari Sterling. The first half was played at a good tempo, helped by the left-hand side of the pitch being covered in sand to prevent the pitch becoming waterlogged. Solihull came out after the break looking to grab an equaliser as soon as they could, with Moors manager, Liam McDonald demanding that his team press Woking as soon as they regained possession. 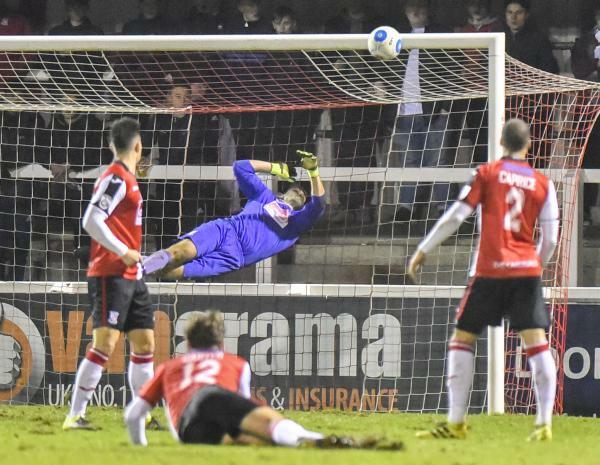 When the equaliser eventually came for Solihull in the 59th minute there is no argument that it was deserved. Woking goalkeeper Michael Poke made a good initial save to Sterling’s stinging shot, but was unlucky to see the rebound fall straight to the feet of Murombedzi who poked home. The equaliser brought manager Garry Hill back to life as he rang the changes with Charlie Carter and Connor Hall coming on to replace Nathan Ralph and McCauley Bonne respectively. The winner came following good work from Gozie Ugwu down the right-hand side before pulling back for Saraiva to convert with a rare goal with his right foot. Solihull searched for a second equaliser in the latter stages of the game and forced two world class saves from Michael Poke, including one goal mouth scramble that could have easily crossed the line. The win keeps Woking in 19th place, but pulls Garry Hill’s side further away from the relegation zone, Solihull on the other hand still look in relative safety, sitting in 15th place. Solihull Moors XI: Baxter, Murombedzi (White 67′), Daly, Kettle, Flanagan, Green, Maye (Afolayan 84′), Sterling, Carline, Nortey (Byrne 67′), Charles-Cook.